Jai Thomas, as friends and family know him, is a kat with roots in the suburbs of Chicago. 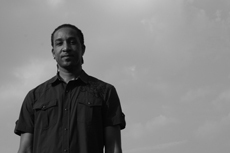 Jai goes by the moniker TEMPO THA THUNDAKAT (previously Tempo) and spins house beats. His talents include producing house music and singing lead on tracks. At the age of 20 he bought his first set of turn tables along with 5 records and taught himself how to spin. His interest in music started at the age of 10 when he learned how to play brass instruments. 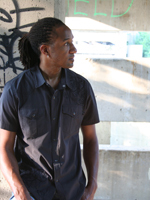 His influences include Lil Louis, Grammy winner Maurice Joshua and his spiritual brother, the legendary Paul Johnson, with whom he has collaborated with on a few tracks. 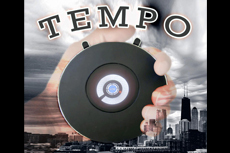 TEMPO THA THUNDAKAT is a seasoned DJ who got his start in the Chicago music scene playing at house parties which soon led to weekly corporate events. It wasn’t long before he started working for Trax Records under the renowned Larry Sherman and then held residencies at Chicago hotspots Butterfield 8, Le Passage, Level, Spoon and Crimson Lounge to name a few. He was among an elite group of artists featured on Paul Johnson’s 25th Anniversary European Tour. 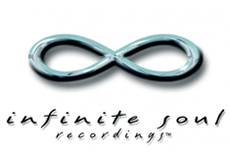 TEMPO THA THUNDAKAT joined forces with DJ Rhythm and launched his first release "DO FOR LOVE" on his previous label Infinite Soul Recordings, a remake of the classic hit from Bobby Caldwell, featuring vocals by BLU. As a producer he then partnered with Samy Handy out of France from the GOD OF HOUSE label and is releasing dance floor tracks including, “BIRDS SONG” featuring his daughter on vocals. TEMPO THA THUNDAKAT plans to continue contributing to late night encounters in the dance world. Make sure to check him out on the AGENCY SOUNDS site where you can sample his sets, productions and see upcoming events.